TUSCALOOSA, Ala. — Metastatic breast cancer cells lodging in the brain may rest in a sleep mode before awakened to wreak havoc, but the reasons why the cells stay dormant and later become active is not fully understood. With funding from a National Science Foundation CAREER Award, a pioneering bioengineering project at The University of Alabama will engineer environments that mimic conditions in the brain to gain insight into this process in metastatic breast cancer. There is no cure for metastatic breast cancer, or stage IV breast cancer. The 5-year relative survival rate for patients is about 22 percent, according to the American Cancer Society. 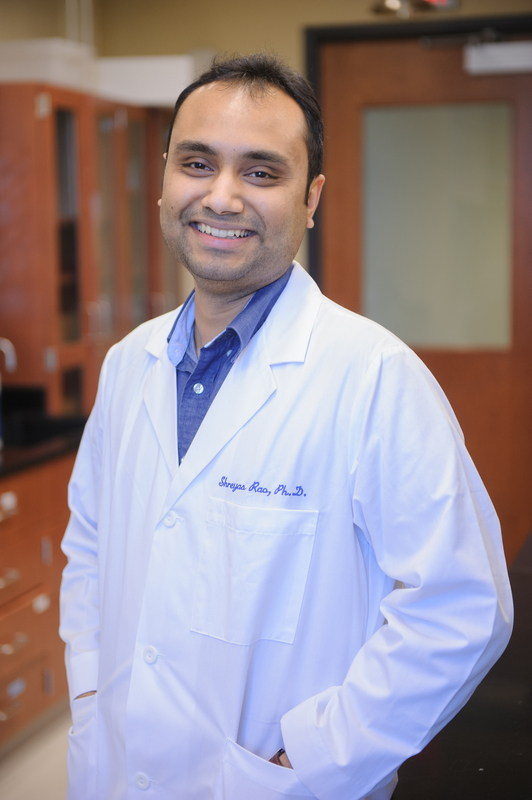 For the study, Rao and his students are developing in the lab a 3-D experimental model of dormancy in brain metastatic breast cancer cells using hydrogels that can mimic certain aspects of the brain tissue. These hydrogels are created using hyaluronic acid, a major component of the brain environment, and will allow the team to test whether biophysical, biochemical and cellular cues in the brain environment regulate the dormancy of breast cancer cells that have metastasized to the brain. 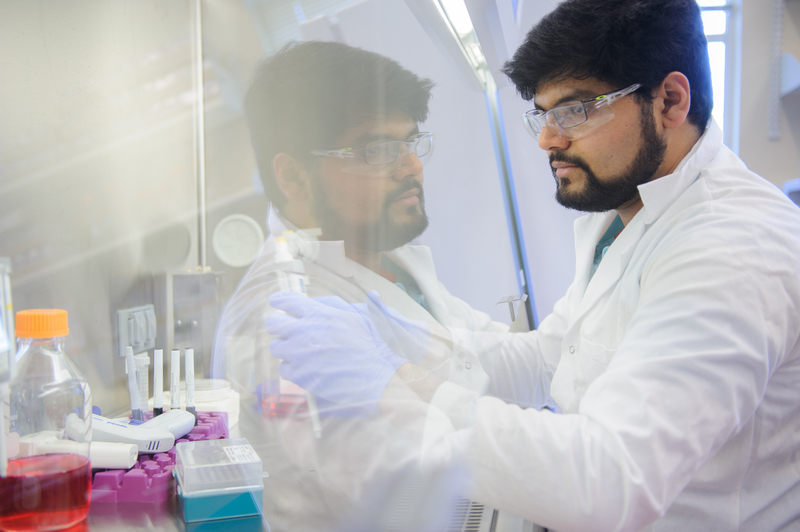 Akshay Narkhede, a graduate student in chemical and biological engineering, makes hydrogels in Rao’s lab that can mimic aspects of the brain environment. Rao and his students will engineer brain tissue mimicking environments incorporating signals they believe may play a role in cancer dormancy such as stiffness of the tissue, the presence of certain biomolecules and native cells in the brain. “We want to find out what combinations of signals keep the cells dormant and also wake them up as well as understand the underlying mechanisms of why this switch happens,” he said. The grant will also cover an educational component that will give four cohorts of six high school students and three high school teachers from the state’s economically challenged Black Belt region the opportunity to learn and work in Rao’s lab for four days during summer over the course of the grant. The Faculty Early Career Development, or CAREER, Program is a Foundation-wide activity that offers the NSF’s most prestigious awards in support of early-career faculty who have the potential to serve as academic role models in research and education and to lead advances in the mission of their department or organization.